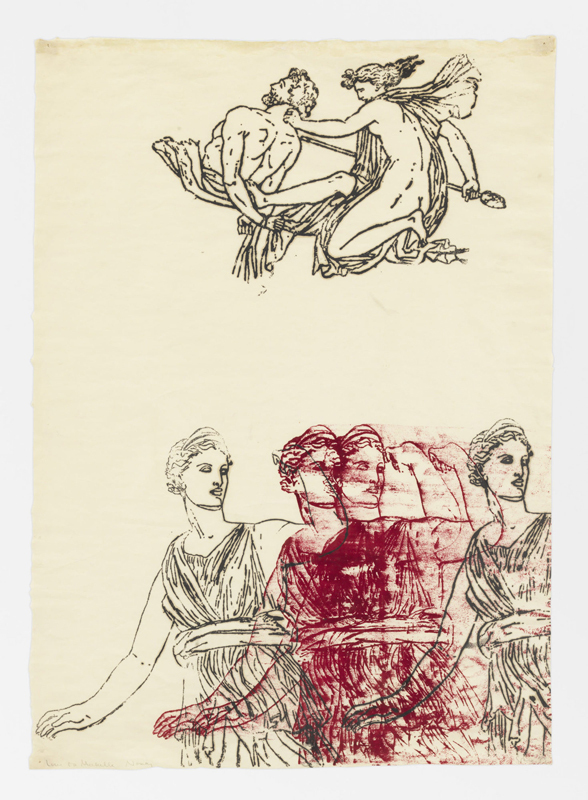 Nancy Spero (1926–2009) spent nearly six decades as a pioneering feminist artist and activist whose efforts went against art-world trends. Starting out as painter, Spero switched to working primarily on paper after 1966. She often appropriated depictions of goddesses from ancient art, using them like hieroglyphs for fierce, frieze-like critiques of male privilege and violence. Spero’s work took an even more ferocious tone during the Vietnam era, when she addressed the conflict through scathing antiwar imagery. This show collects 100 examples of her work, spanning the entirety of her courageous career.